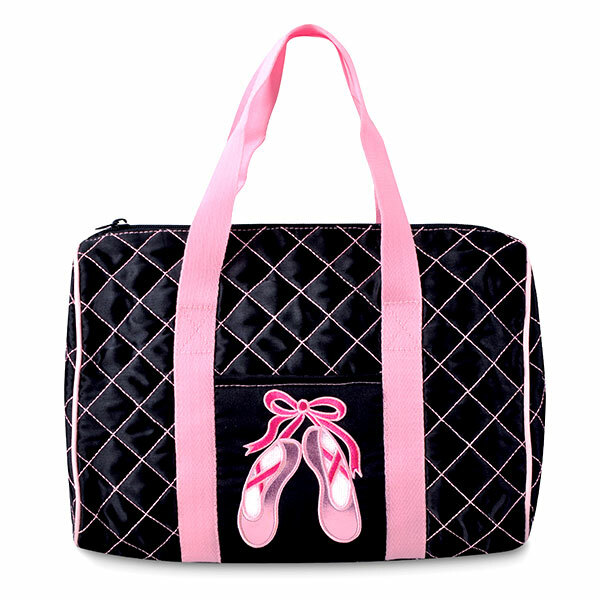 Features: Quilted diamond pattern satin duffel with contrasting pink stitch. Features an embroidered toe shoe design on front pocket. Zipper closure and fully lined interior includes three pockets.